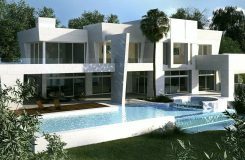 New Contemporary style Villa with open views of the Flamingos Golf course and the hotel Villa Padierna. Built with the latest materials and technology available, it will be completed in august 2018. It has 3 en-suite bedrooms on the first floor, another en-suite with dressing area on the main floor and the last en-suite on the lower-ground floor. On the main floor we find the spacious living-room with fireplace, dining room and kitchen. The exit to the garden offers a chill-out area next to the 2-side infinity pool. The basement has laundry room, storage area, toilet and a multipurpose room (could be used for a gym or a cinema room). 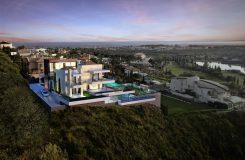 Los Flamingos, one of the most prestigious and private residential Golf complexes in the Costa del Sol is located on the New Golden Mile – Marbella West. This stunning hillside location boasts beautiful views to its amazing natural lake, to the lush golf course, and to the Mediterranean Sea.s Golf Resort has first-class facilities that offer the ultimate in luxury accommodation and it is also the location of the majestic Villa Padierna Palace Hotel, the only six * SPA hotel in Spain, which has received the “World’s Leading Luxury Golf Resort” prize, in December 2012 by the prestigious World Travel Awards (WTA). Villa Padierna also offers their clients the use of a private beach club which is just a few minutes away by car. Flamingos Golf Club was designed by the well-known Antonio García Garrido, and includes three 18-hole courses and a superb golf academy that will probably become one of the best in Europe. 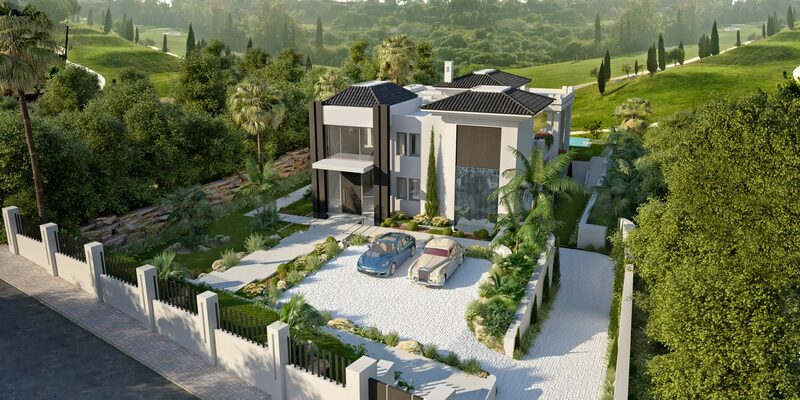 The whole valley is developed under a master plan which ensures consistent high standards, panoramic views and plenty of open space for all the Flamingos developments. The area has impressive villas, contemporary apartments and luxury penthouses with wide panoramic views. A strict 24 hour security service guarantees security and privacy for all owners.